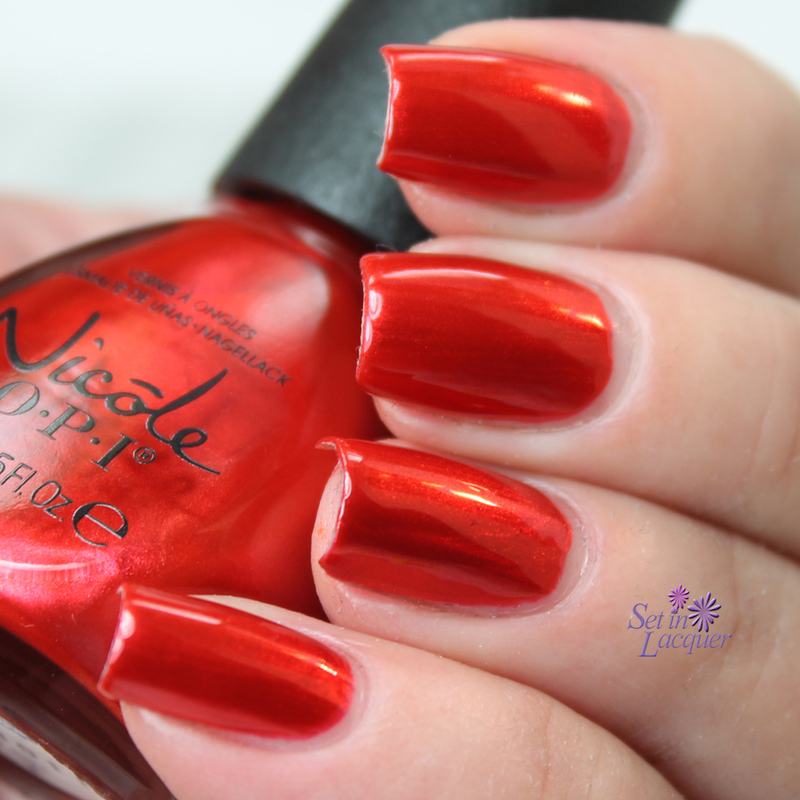 Today's post is all about the new Nicole by OPI Coca-Cola collection. Color your world with Nicole, a Coke, and a smile! These six limited-edition nail lacquers are inspired by the world’s best loved Coca-Cola beverages. 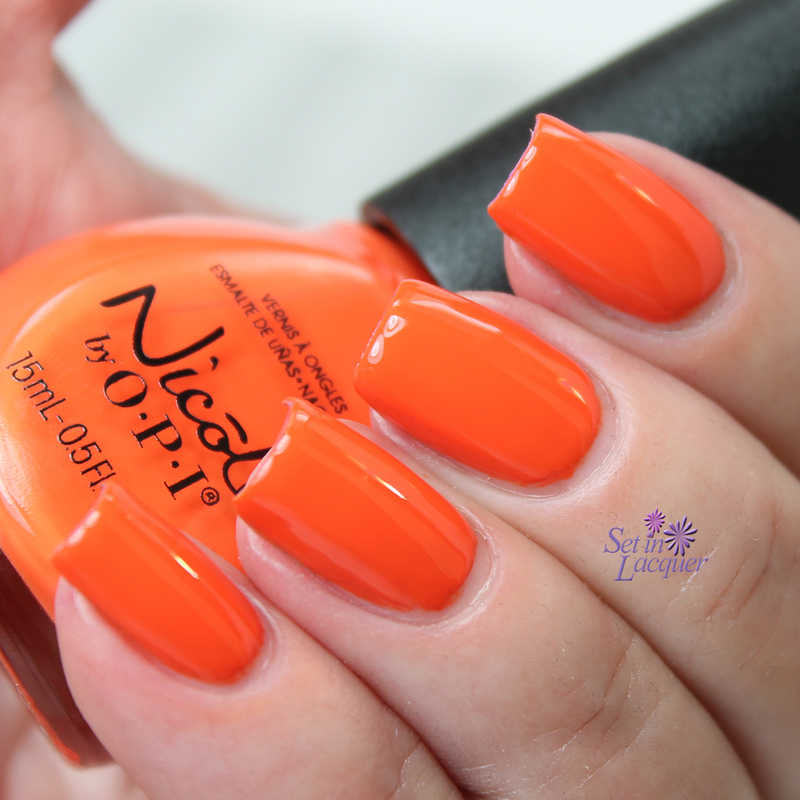 This collection by Nicole by OPI has a bright palette of colors that add “pop” to your look. I love my Coca-Cola and these inspired polishes are a great tribute to the Coca-Cola products. Always a Classic Coca-Cola is a classic bright red. I may say "Classic," but it's got a metallic twist to it. While it's not a true metallic, it definitely fits the red on the Classic Coca-Cola can. I had no issues with application. This is two coats with a top coat. I am completely in love with this sleek red shade. DC Lover is inspired by Diet Coke. This silver shimmery polish has flecks of red glitter to recognize it's partner - Coca-Cola. This shade doesn't go too well with my skin tone though. I had no issues with application. This is three coats with a top coat. The Look is Orange is a bright (almost neon) and stylish orange creme polish. It's inspired by Fanta Orange. I had no real issues with application, although it does seem to be a bit streaky. But the final coat cured that. This is three coats with a top coat. 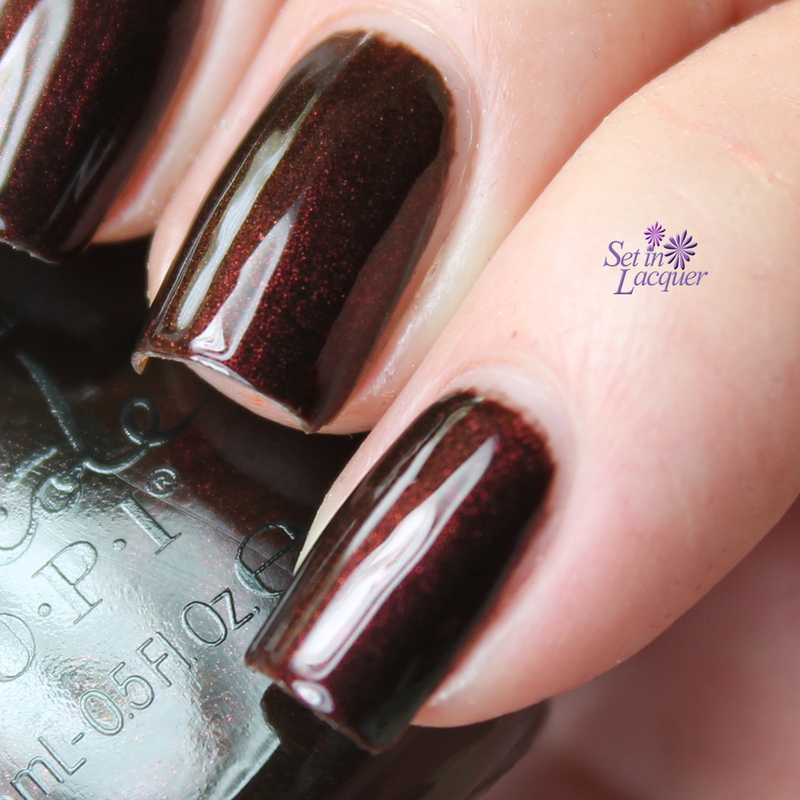 In Grape Demand is a bright juicy plum creme polish. I love this vibrant shade. I had no issues with application. This is two coats with a top coat. Seriously Citrus is a glitter topper inspired by Sprite. It has sparkling green and cool white glitters. I am not normally one to go for glitters. But this one is refreshing. This is one coat over Nicole by OPI My Lifesaver. I had no issues with application. 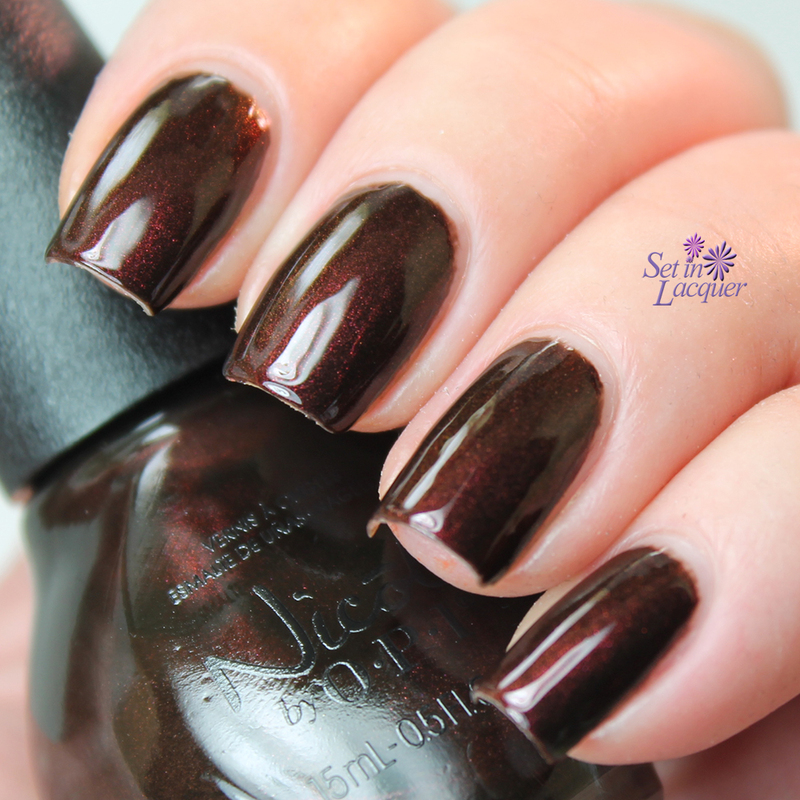 Zero is My Hero is a stunning shimmery rich burgundy polish. This is one of those polishes where the shimmer appears to come from within. Just look at that shimmer! This is inspired by Coke Zero. I had no issues with application. This is two coats with a top coat. The Coca-Cola collection has some must-have shades. Which ones are you going to snag from this limited-edition collection? This is available in the U.S. at select CVS, ULTA Beauty, Kmart, ShopKo, Harmon, and Giant Eagle locations in March 2015 for $6.99. It's available in Canada at select Walmart and Jean Coutu locations for $10.99. These polishes were sent to me for an honest review. All opinions are my own. Please note that computer polishes may display colors differently. Just a quick post for you today. I did think it applied a little streaky. Good coverage but the finish was rather streaky. The brush was also not as wide as some of the NOPI brushes. But overall I like the polish. Then I stamped with Sinful Colors "Black on Black" and added dots of Nicole OPI "Make a Comet-ment" which is a sparkly polish that I am in love with! I like the look. I am getting bored with the stamping plates I have. I ordered quite a few a few weeks ago but they haven't arrived yet. The bottom photograph is the shirt I am wearing tomorrow! Until they do, I need to be patient. Nicole OPI "Make a Comet-ment" and Venique "Biker Couture"
I tried Venique's new color today - "Biker Couture" It is a nice cream-based polish with tones of gray and purple. A couple of people have told me that Venique doesn't have staying power for them. But I have never had that problem. But then again, I don't leave my polish on for more than a couple of days. Even two days is a long time for me to go without changing my polish. But then I decided to put Nicole OPI "Make a Comet-ment" on over the Venique. Wow! It really pops! Make a Comet-ment is my favorite glitter topcoat. It has an almost holographic sheen to it. With a nice topcoat (I always use Seche Vite) it is a definite "use again" combination for me. I found the Make a Comet-ment on clearance at Target before Christmas. Which probably means it has been discontinued. I hate it when I find a "drool and die for polish" and can't get it again. So if you find it grab it! I find Venique on Ebay. Here are some photos. I tried to get several to show the sheen. But grabbing that with a still camera is next to impossible.